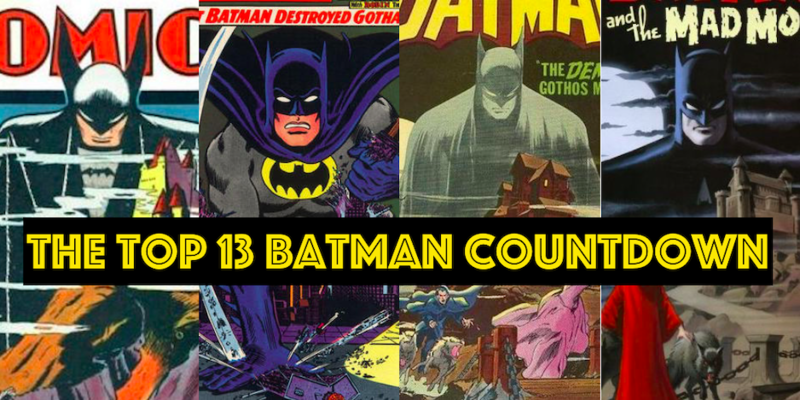 One of the things we’re trying to convey in the TOP 13 BATMAN COUNTDOWN — beyond just how great these stories are — is how much the selections influenced Batman’s larger universe. 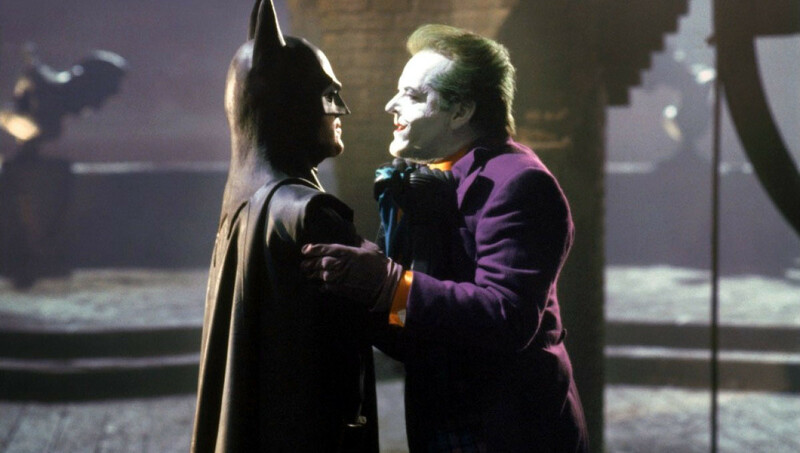 Most importantly, Burton and screenwriters Sam Hamm and Warren Skaaren — not to mention stars Michael Keaton and Jack Nicholson — proved that a darker version of Batman could work on the big screen and that audiences would eat it up. Yet there’s something else that stands tall amid the wonderful toys, great Danny Elfman score and dramatic climax – Gotham City itself. 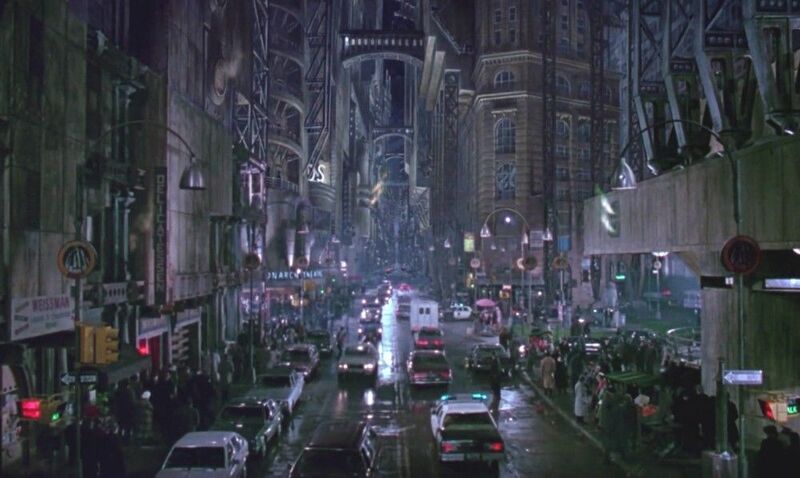 Before Burton and production designer Anton Furst got their hands on Batman’s hometown, Gotham City was consistently shown to be a New York City analogue – a familiar-looking East Coast metropolis. 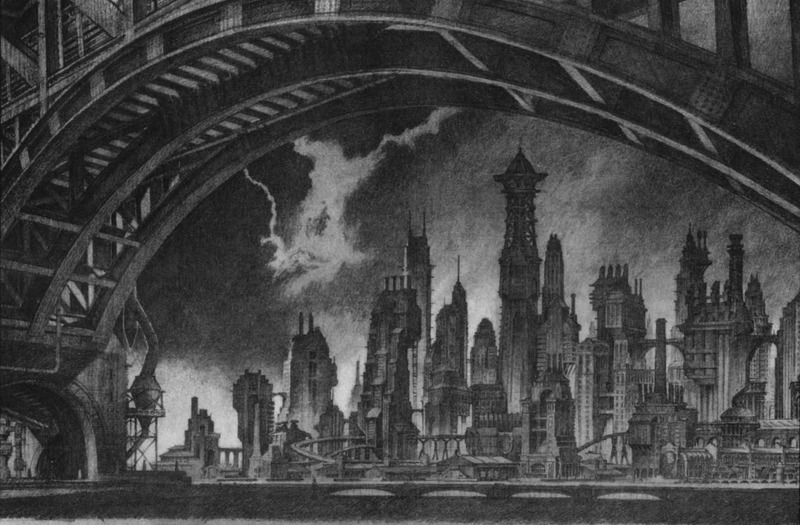 But Burton and Furst famously envisioned what New York might look like without a planning commission and the result is a mirror-cracked version of the Big Apple — a gothic monstrosity of sky-piercing spires and twisted pipes that’s always covered in steam and grime. Concept by Anton Furst. Illustrated by Nigel Phelps. This version was used for the 1991-92 DC Comics arc Destroyer. Which just proves the point! It didn’t take long for the comics to follow suit and while some versions remain rooted in the real world – see Christopher Nolan’s patchwork of New York, Chicago and Pittsburgh – Gotham is now almost always shown to be what Burton and Furst showed us in 1989 — a horrible, beautiful mess. No wonder the film won an Oscar for art direction. 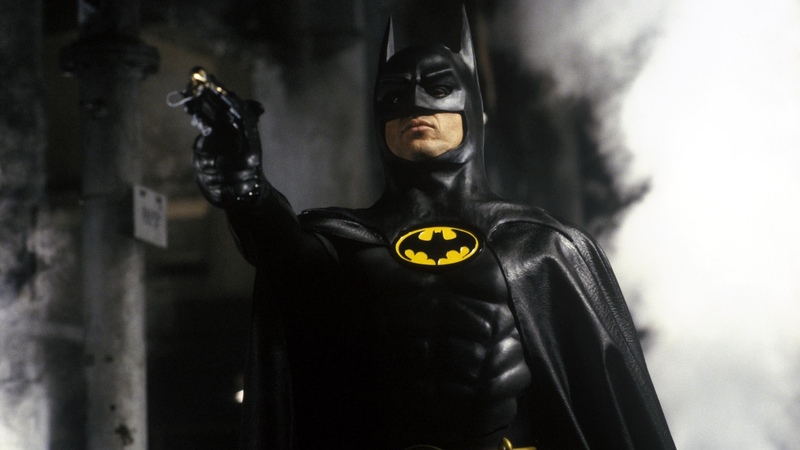 Happy 30th anniversary to Tim Burton’s “Batman”! Burton’s Batman provided just the right amount of whimsy or “camp” for the fans of Adam West’s Batman to enjoy. But as the article points out, the real or “serious” batman fans realize that Bruce Wayne/Batman came from a dark place of senseless murder and childhood trauma. For those who always want to see Batman as the 60s TV show Batman, may as well take The Shadow and convert him into an Inspector Clouseau ( from the Pink Panther movies ) type character. Batman will for me always be a character whose darkness of the night defines him just as the light of the sun defines Superman. The Yin and Yang, Hawk and Dove, superpowered Boy Scout and Ninja, the World’s Finest of characters. A couple small mistakes, that Gotham skyline at the bottom is the 1992 DC Comics version, from Destroyer. Nigel Phelps penciled all those charcoal building drawings, he worked at Furst’s company. Phelps did all the building drawings for the movie too. Thanks for correcting the record. But that even deepens the point! Batman 1989 is an enjoyable movie and an important one. However, it has not aged well and has its flaws – it did not make my personal “Top 13” list. So far, only one of the panel’s choice is on my list (“Heart of Ice”). That’s what so great about Batman – so many choices.